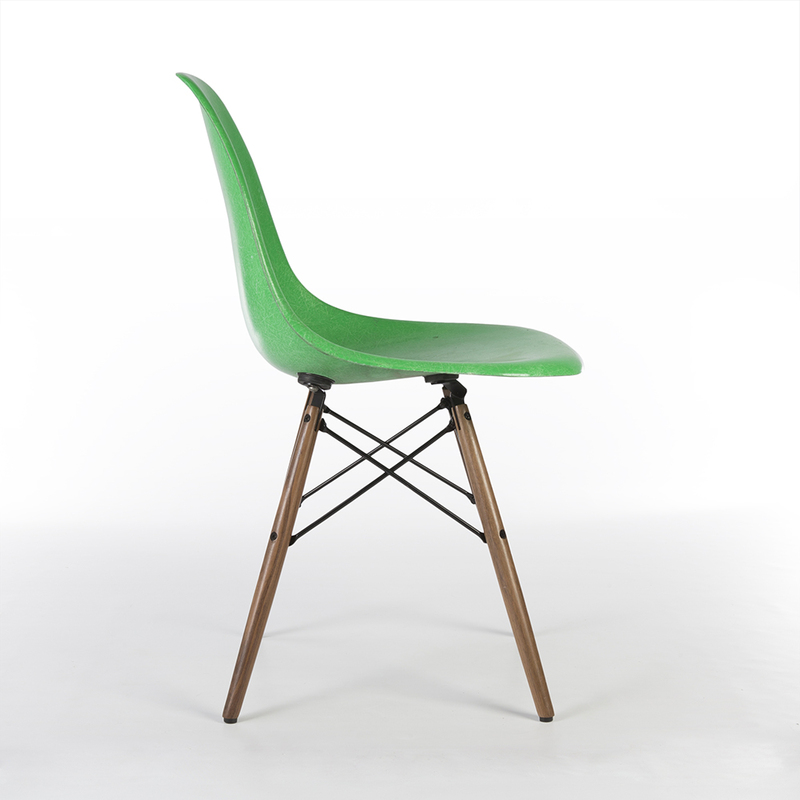 A vintage Cadmium Green Eames side shell which sits on an original, re-introduced, used Herman Miller walnut DSW dowel base creating the perfect combination. The set of 4 green shells have a fantastic vibrant colour with visible fibers which are complimented by walnut DSW bases to create a rather unique finish. 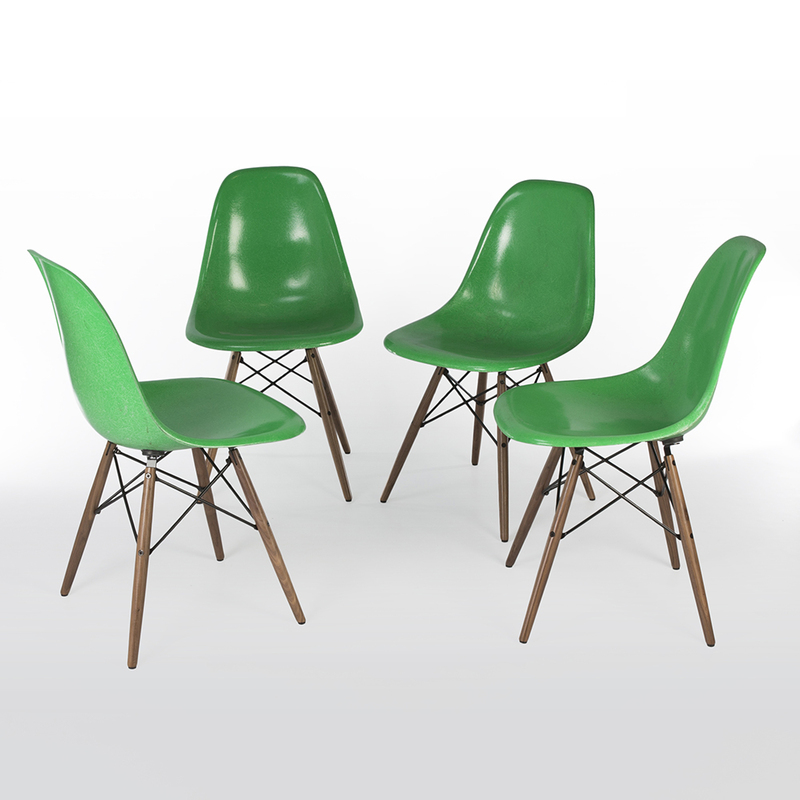 The Eames shell series chairs really don’t need any introduction. 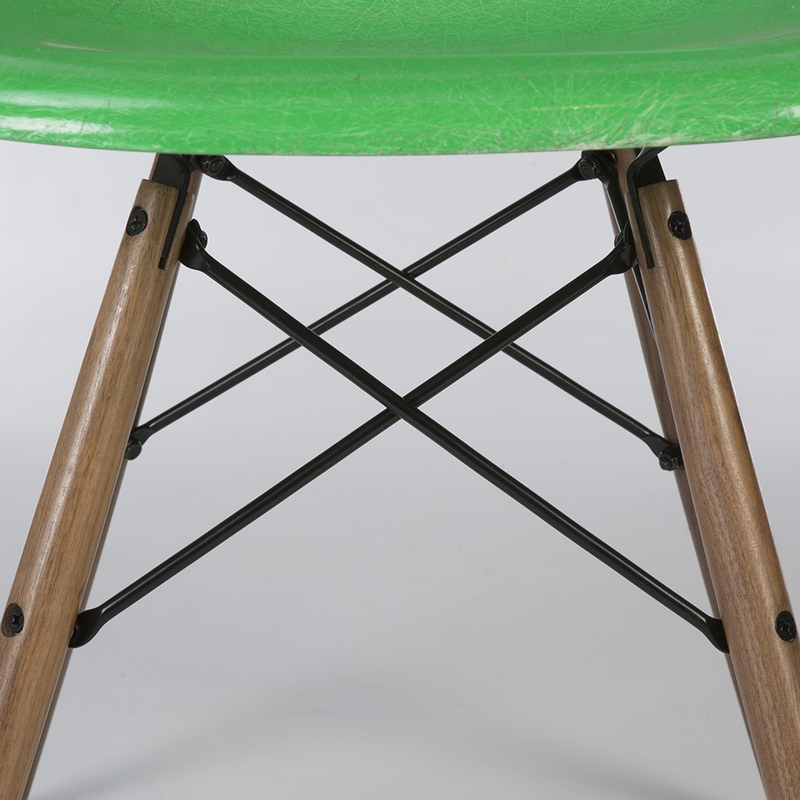 With early prototypes beginning in the late 1940's, production began on the Eames' dream of 'chairs for the masses' in 1950 with the arm and then the sides later in 1952/53. 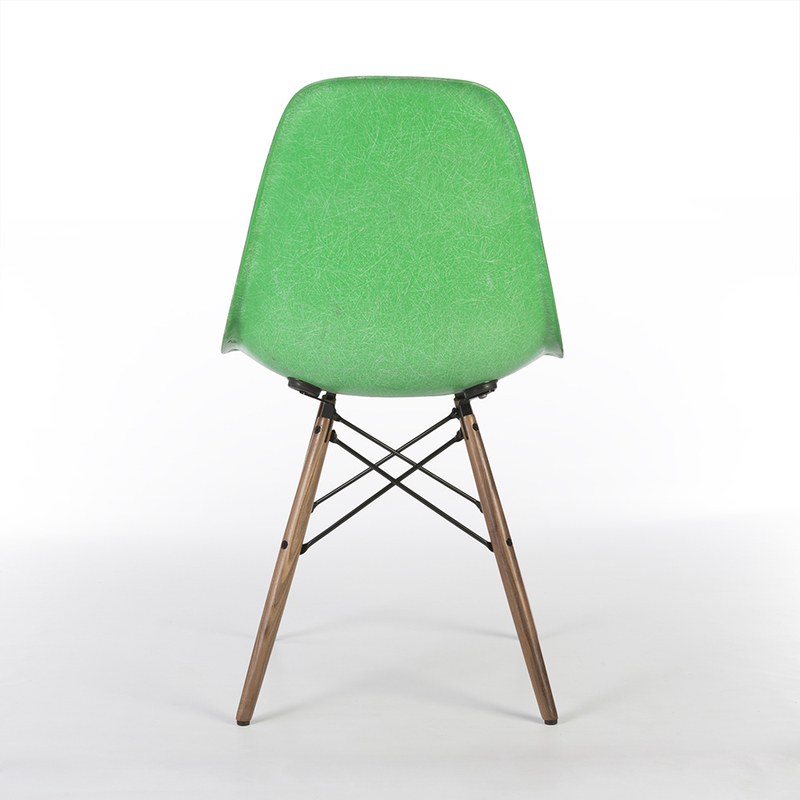 The original and vintage fiberglass chairs were so versatile and so modern that they only increase in popularity as the years go by. 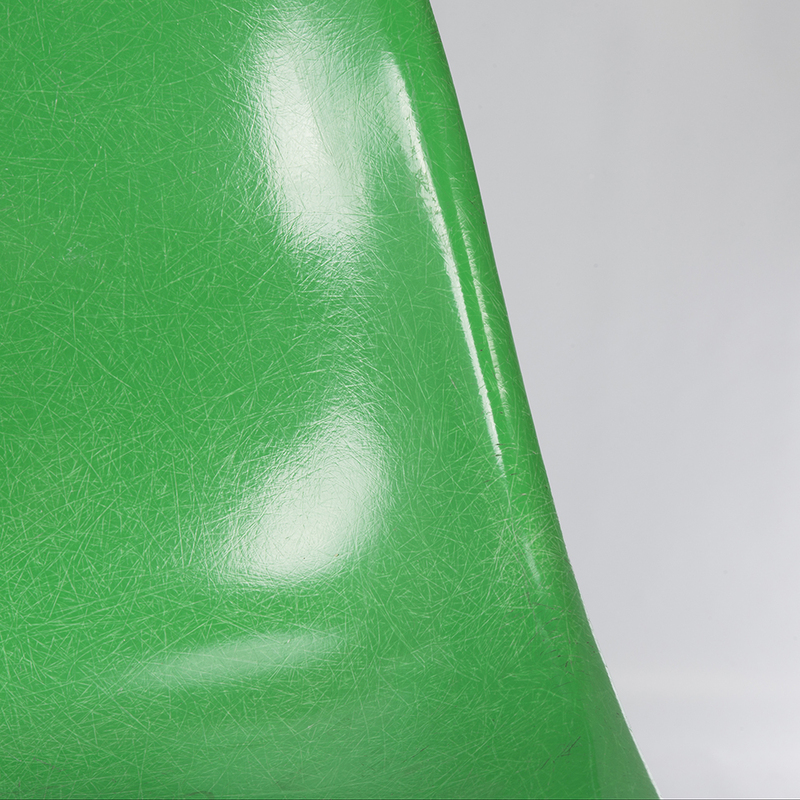 Fiberglass originals always have a base colour and gorgeous 'visible' fibers in the shell itself. Upholstered versions were introduced by Herman Miller a little later on using fabrics and textiles designed by the esteemed designer Alexander Girard. 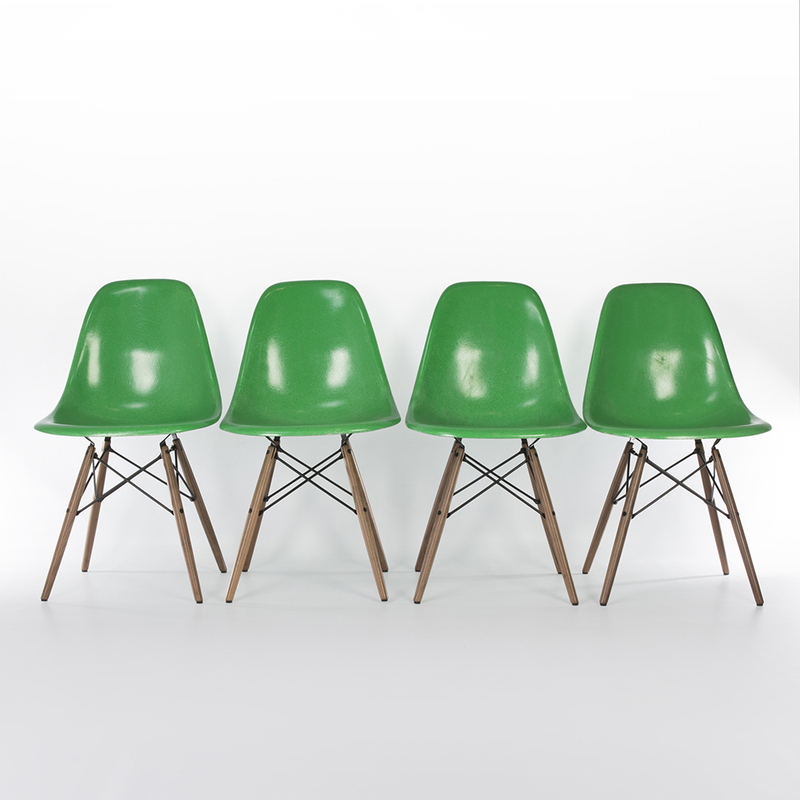 The set of 4 are in great vintage condition, small signs of use around the edges, as expected with age, but their colour is exemplary and there are no cracks or dents. 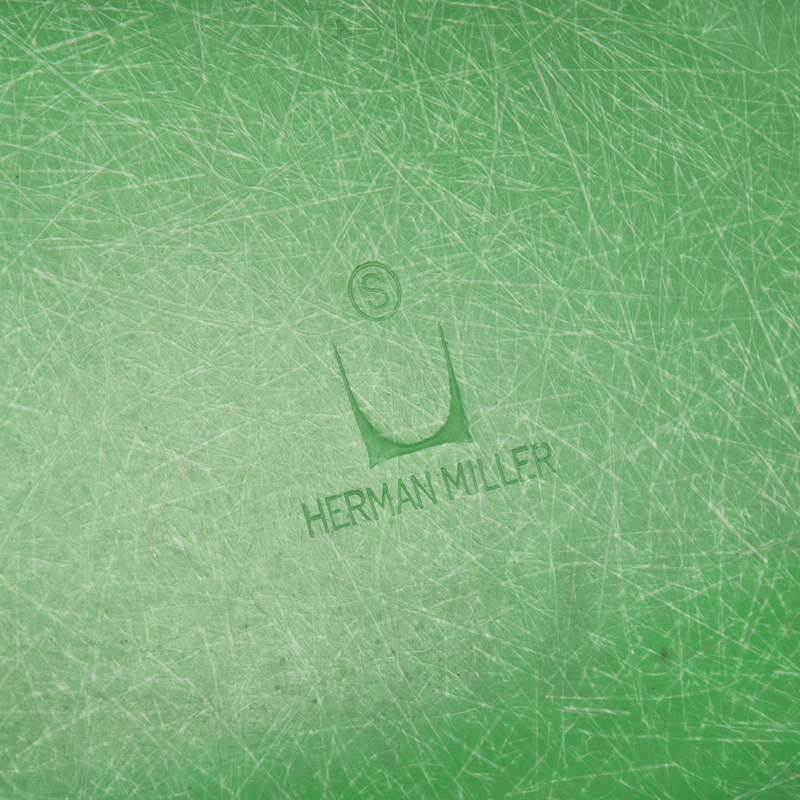 The newer, replacement Herman Miller DSW bases are in good used condition. 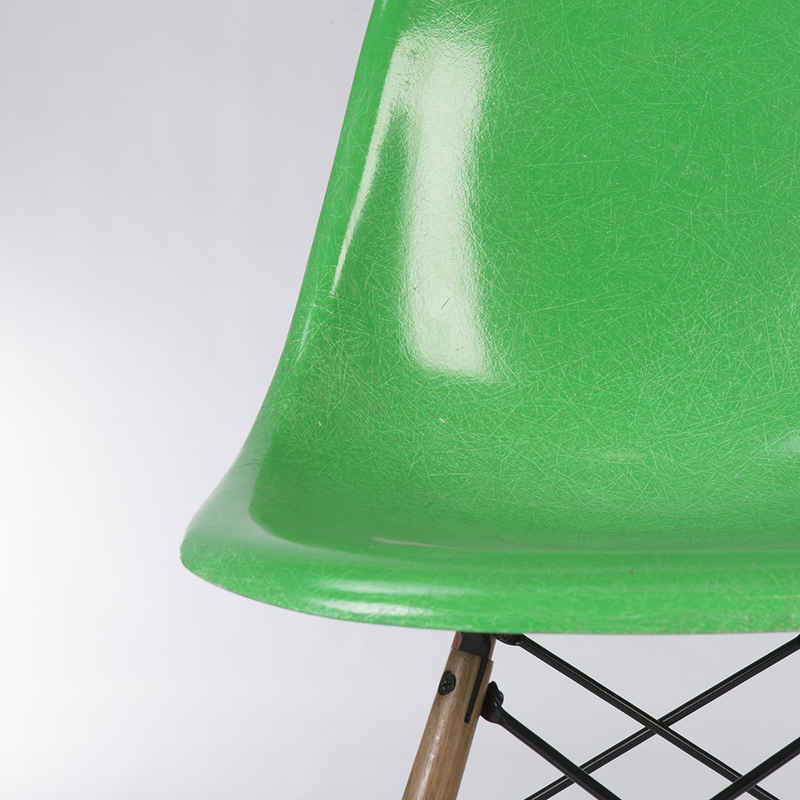 The ‘S’ stamp signifies that the shells originate from Herman Miller’s Summit Plastics factory.